In a generation that is increasingly dependent on screens, exercise has become alarmingly uncommon amongst children, and according to studies, well below the daily recommended exercise for those aged 5-15. Why is it important for kids to exercise daily? Kids who exercise have stronger muscles and bones, are less likely to become overweight and develop obesity-caused diseases, and are less likely to experience depression or anxiety. Exercise also helps children to sleep better, and as a result, increase their concentration during school. Encouraging your kids to pull themselves away from what may seem more appealing entertainment options, like TV shows and video games, can be a challenge if the option to exercise isn’t enjoyable. That’s where a trampoline comes in. 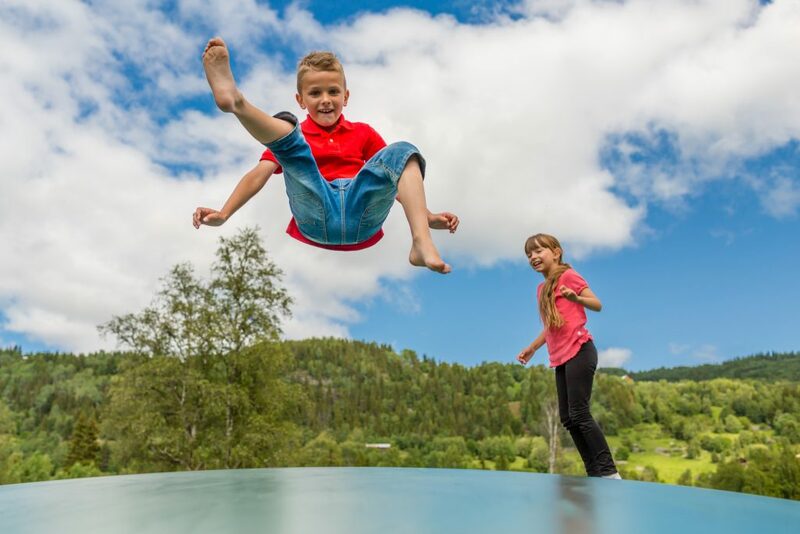 Although simple, trampolines offer phenomenal health benefits, which makes them so irresistible that even adults are jumping on the bouncy bandwagon. What’s more, it’s common for children to run straight to the trampoline after school, and spend hours jumping without even knowing it. So putting one in your backyard could not only solve the issue of a lack of exercise, but provide the kids with a new favourite hobby too. Topline Trampolines are manufacturers of Australian-made trampolines, suitable for both professional athletes and hobbyists. View our range online, or visit our warehouse in Molendinar.